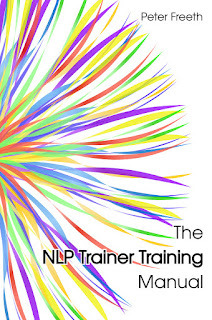 I'm currently working on a new book, The NLP Trainer Training Manual. As you may have guessed, it's the manual that will accompany my NLP Trainer Training which I'll start running in November 2016. I thought you might like a sneak preview, so here's the introduction. 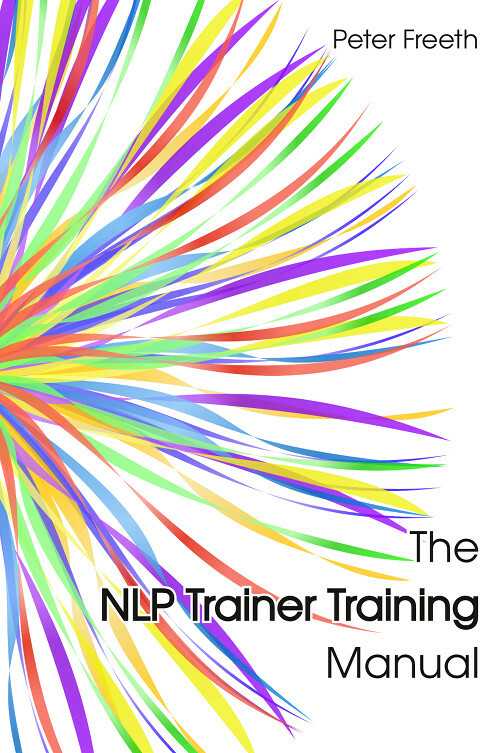 If you’re reading this now then you are most likely quite some way along your NLP learning journey, and I am delighted that you have made it this far. I’ve been waiting for you. If you are not reading this now then something has gone horribly wrong. I suggest switching yourself off and back on again. That’s actually a pretty good summary of the process of learning. Read something. Stop reading it. Switch off and back on. Repeat. Nice and simple. However, humans do like to complicate things. Learning is very easy because you are a learning machine. 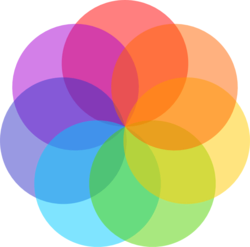 Like Neo in the film The Matrix, you can assimilate new information into your brain remarkably quickly and efficiently, and then you can forgot most of that just as quickly if it’s not relevant to you. As a NLP Trainer, you will learn how to shape and guide this natural process. Learning NLP is not like learning maths or history. Long division presents no challenge to the ego. The factors which led to the First World War do not require the learner to push through any personal barriers. Of course, exam anxiety play a part in the student’s success, but that’s not what we’re talking about here. The very process of learning NLP changes the student, and that change creates friction and resistance. If you, the Trainer, cannot manage that, your learners will only ever skim the surface. You will sign certificates, knowing in your heart that you are unleashing ineffective, inexperienced and substandard Practitioners and Master Practitioners onto the world. Those students aren’t painting fences and driving buses, they are engaging with clients of their own through coaching, counselling, even therapy. You have a responsibility to those clients because you are putting your name on the certificate of the people who they are entrusting their lives to. After all, if you were training bus drivers, you would consider passenger safety, wouldn’t you? Wouldn’t you? Being a NLP Trainer is more than a set of skills or a certificate, it is a responsibility both to your students and to their friends, families, colleagues and clients. If you’re not ready to accept that responsibility then it is unlikely that you will meet the certification criteria for a NLP trainer. If you are ready then let’s get started. People describe NLP in different ways; a study of excellence, a model of human communication and behaviour or a toolkit for personal change are ones you may have heard. Some NLP trainers even present NLP as a panacea for all ills; it can give you confidence, wealth, contentment, good health and more. Because of this, NLP has earned a reputation from some critics for being a hyped up, pseudo-scientific cult that tries to pass itself off as a branch of psychology, or neuro-science, or psychiatry, depending on which website you’re looking at. At the heart of NLP is a set of linguistic tools for understanding the intuitive mindset and behaviour of excellence in any field. At this Trainer level of NLP Training, we actually have to achieve two things. Firstly, we need to develop a set of skills which are broader than those explored at the Practitioner and Master Practitioner levels. Secondly, we must develop an understanding of the process of learning itself. We must not just be teachers of knowledge, we must be guides on the journey itself. You see, when we train NLP, we’re not just teaching facts and figures like the wives of Henry the Eighth or how to do simultaneous equations. We are guiding our students through a process of personal change. This is very prominent at Practitioner level, where the primary purpose of the training is, through learning the techniques of NLP, to give the student a first hand experience of change. At Master Practitioner, we want out students to see the world in a fundamentally different way, to see through the facade presented by people and see the patterns and programs behind their language and behaviour. To do this, the student must acknowledge their own facade, their own patterns and programs. What, then, are we aiming for at Trainer level? By following the same logic, if we are to teach others how to teach, we must first learn how to learn. NLP Trainer Training therefore works at two levels – superficially developing the skills to train NLP and its techniques, but at a deeper level, you must overcome your own barriers and prejudices to learning so that you can more clearly see those of your students. I’m privileged that you are joining me for this part of your journey, and I hope that you enjoy exploring and learning NLP as much as I do. Anyone can comment, but if you're not logged in and you want a reply you'll need to provide contact details, so being logged in is probably best. Peter Freeth has over twenty years experience of learning, developing, teaching and applying NLP, and arguably has more direct experience of innovating and applying NLP in the business environment than anyone else working in the field today. Peter has now authored ten books related to the subject and is always working on new developments and innovations, based on the latest research from both science and business. Think of a problem, try to hold it tightly in your mind, then keep on asking yourself questions until you feel the problem changing. When you're ready for the next question, just click the Unstick! button. (c) Peter Freeth 2000 to 2015. Picture Window theme. Powered by Blogger.